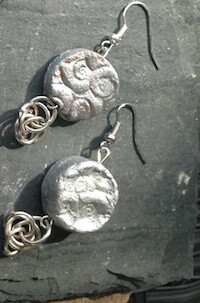 Hope Earrings are made from a variety of materials including clay beads, coins, lava rocks and beads. The clay beads are hand-made by women in the Tuesday Morning Program and fired in House of Hope’s own kiln. 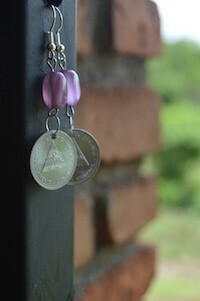 The coin sets are made from real Nicaraguan coins. 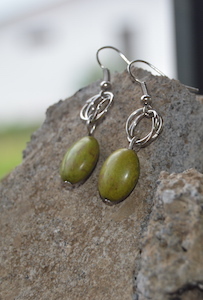 The rock sets are made using lava rocks found throughout Nicaragua. The beaded sets are also uniquely designed by the women of House of Hope.This case is perfect for fundraising for immersion students! *Please note, we cannot guarantee particular colors as supplies vary. However, you may write your preference in the comment on your order and we will do our best to accommodate you. Local communities– with Common Ground’s immersion programs medical professionals, educators and high school students (tomorrow’s leaders!) don’t just learn the Spanish language, they learn Spanish communication, empowering them to make a difference serving the Spanish speaking populations around the world and at home. Immersion participants– The Immersion Fund provides scholarships for participants who demonstrate a financial need and a heart for serving in their local communities. Women in Nicaragua– jewelry making is the livelihood for 350 women in Managua, Nicaragua who are working for a better future for themselves and their families. 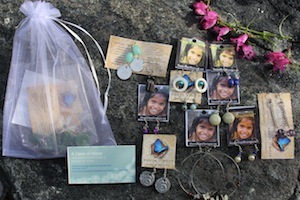 All the jewelry is hand-made by women in the Tuesday Morning Program at House of Hope. House of Hope is an organization that helps women in Managua, Nicaragua get out of prostitution by providing services such as life skills and occupational training, medical care and school uniforms. Learn more about The Immersion Fund and House of Hope.